A wonderful surprise at the fantastic, energetic drummer Allison Miller and her group Boom Tic Boom which Earshot Jazz Festival 2011 presented at Cornish last Thurday. 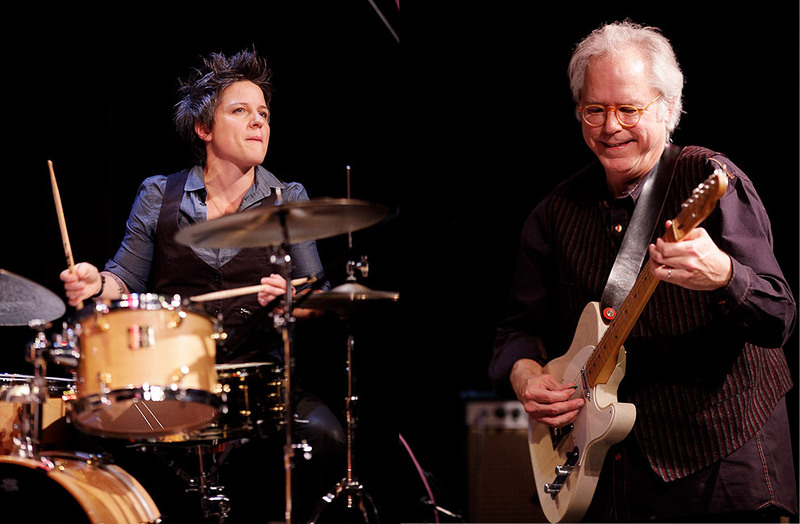 Right after the first piece, she introduced Bill Frisell, who came out and performed with the group. What an unexpected treat. 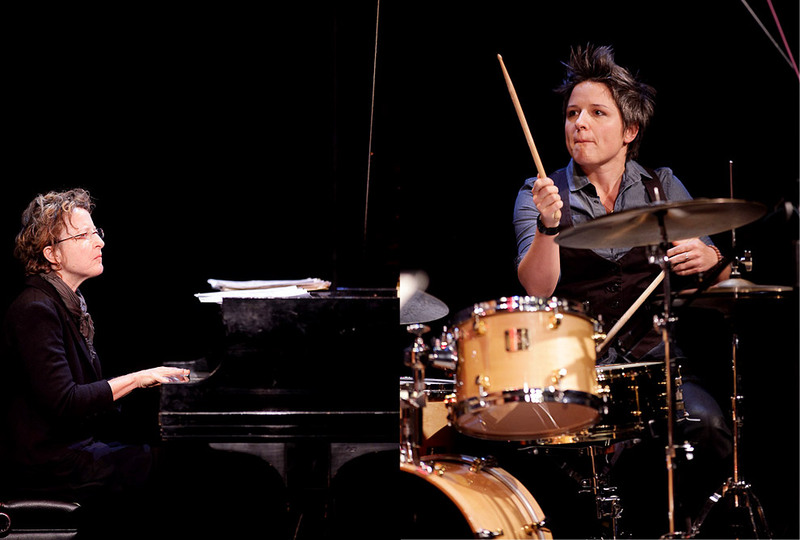 Allison Miller is a stellar jazz drummer. 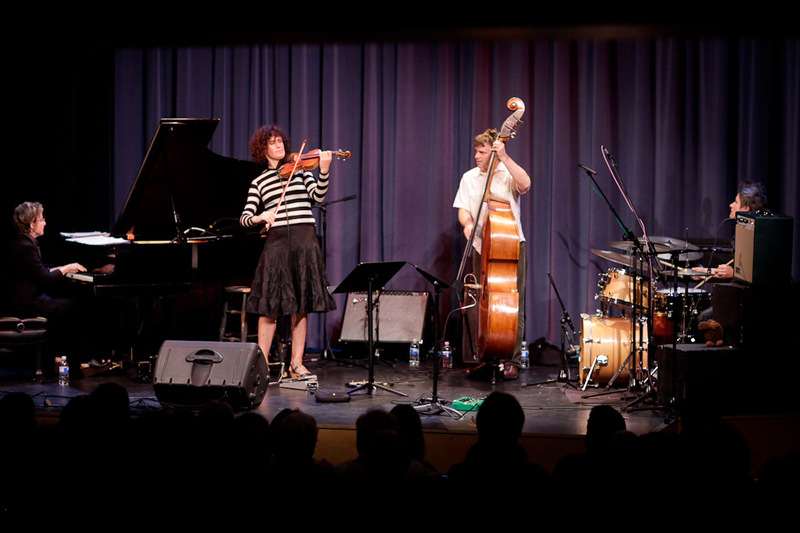 Allison Miller’s Boom Tic Boom performances, said the LA Times, are “as unpredictable as they are approachable. When not with mainstream artists Natalie Merchant, Ani DiFranco, and most recently, singer Brandi Carlile, fresh and energetic NYC-based drummer Allison Miller sits among a coterie of artists excelling in the NYC downtown and beyond – Steven Bernstein, Ben Allison, Kenny Barron, Erik Friedlander, Mark Helias, Ellery Eskelin, Peter Bernstein, Sheila Jordan, George Garzone, Mike Stern, Rachel Z, Kevin Mahogany, Bruce Barth, Mark Soskin and Harvie S.
A co-leader in several bands, including Honey Ear Trio (Steampunk Serenade, Foxhaven Records, 2011) and Eskelin/Deutsch/Miller, featuring Ellery Eskelin on tenor and Erik Deutsch on organ, Miller is fierce at the helm of her own quartet, Boom Tic Boom. 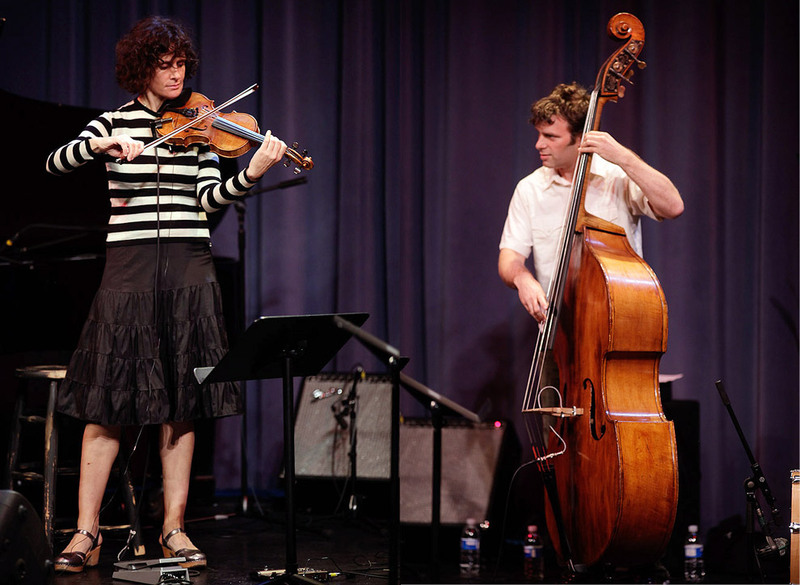 The quartet features pianist Myra Melford, violinist Jenny Scheinman and bassist Todd Sickafoose on compositions primarily by Miller and Melford.